After months and months of searching for the most coveted minimalist sneaker of the moment, has finally come to an end. Just last week, the Adidas site in the US, UK, and Sweden has finally restocked in all colors in all sizes. Normally, whenever a specific piece of clothing, accessory, or shoe becomes remotely popular and trendy amongst the fashion blog sphere, I don’t want it. In this case there’s something undeniably cool about the nondescript tennis shoe and not too mention look great paired with almost everything. My interest was immediately piqued after viewing the Isabel Marant, pre-fall 2014 collection, in which her French take on trainers effortlessly paired with elevated separates; such as oversize knits, boyfriend jeans, and tailored mannish suiting paired with a crisp white t-shirt. 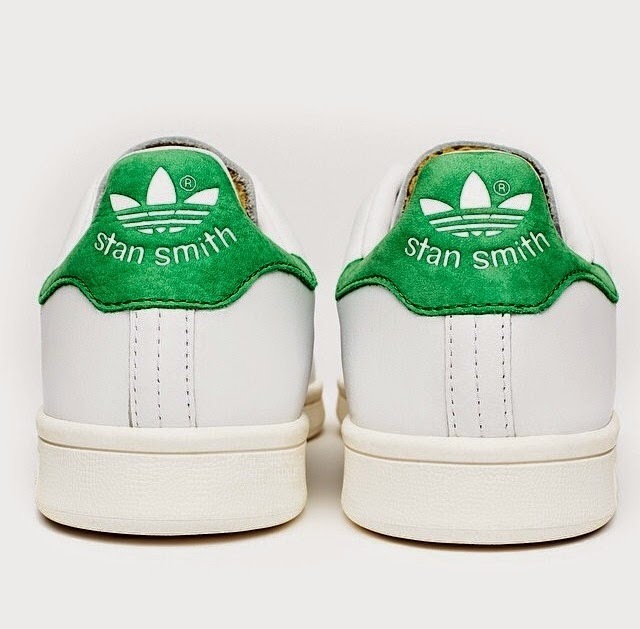 If you’ve been reading the Chicest Degree frequently, you’d might remember the Minimalist Sneaker post where we discussed the evolution of everyone’s fixation with Nike Air Max’s, low top Air Force 1’s, Free Runs – or even the sartorial slip-ons that both Céline and Givenchy turned into a “thing.” The classic Stan Smith, still continues to be the go-to footwear choice for some of the most stylish power players. Although sneaker heads and the fashion flock may share a devotion to the idea of the latest and greatest, the Stan Smith is changing all of that. The 1973 Adidas original, named for tennis pros, has gotten a relaunch from the brand this past January and trainer lovers and style setters have converged on this particular old school style. A sentiment long embraced by the street-style set, editors, and even Phoebe Philo sported a pair at her spring 2011 show. This fusion of sport and high fashion continues during the Couture collections, where both Raf Simons’ and Karl Lagerfeld have featured minimalist sneakers on the runway. Will you be joining the Stan Smith bandwagon? Tell me everything, leave nothing out.